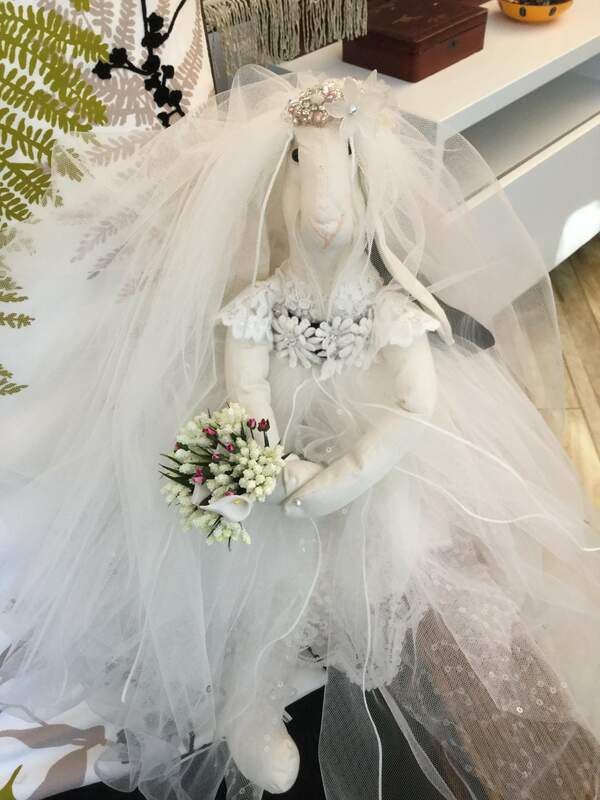 It's been a very busy summer working with some delightful brides and their entourages! The autumn is bringing a few but I have time to relax and have me time. 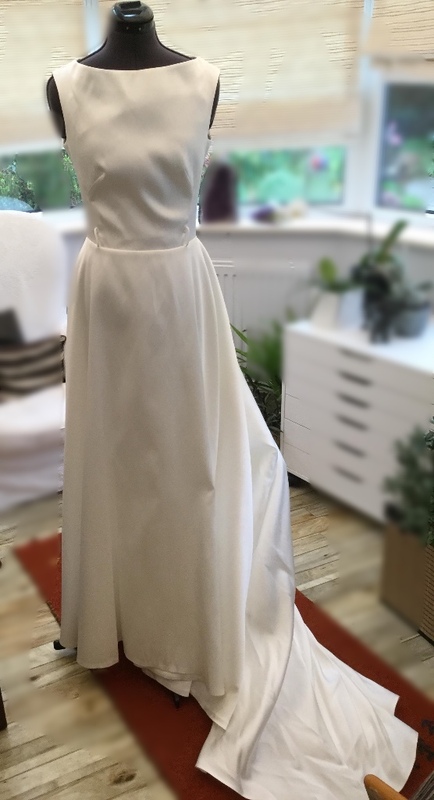 One of my lovely brides married just a year ago decided not to waste her dress to storage and asked if I'd turn it into a wearable evening gown. The brief was to keep the simplicity but lose the train and full skirt. She has an amazing figure and this sleek simple line looks amazing! 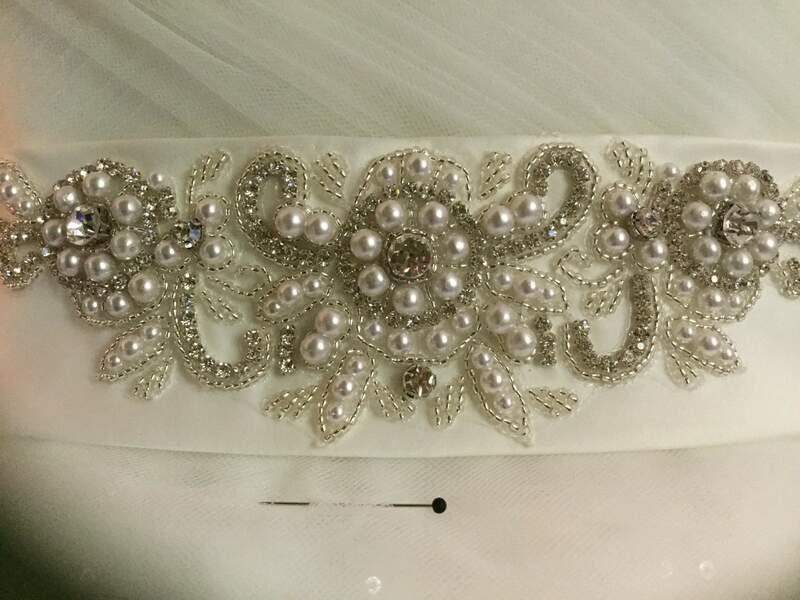 She chose the lace over lay and wanted to keep the original belt. Her husband who is in the forces has mess functions so this gown was perfect! Knowing mess functions and how you can't wear the same thing twice this dress can easily be changed by just changing the overlay! Perfect!